Ah, the off-season. For most fans and not-in-the-industry folks, it would seem like this is a mellow time of rest and then training for the following year. While this may be true to a point, there is also another side to this story. The business negotiations that take place during the off-season are sometimes intense, sometimes fairly basic and sometimes comical. Since I stopped racing and am now entrenched in the riding apparel business, I get to see both sides of the coin. I now have a much broader understanding of what goes into choosing riders, what support they receive and what drives these decisions. As a rider, all that seemingly matters is improving results. Better results will seemingly always drive up the price for one’s services. It is usually a strong motivator and with the state of the sport, every dollar counts these days. Most riders don’t typically understand all of the factors involved in company marketing and probably don’t want to. In riders’ minds, results equal dollars and many times this is true. If Rider A gets a good result on the weekend, nothing else matters. Everything else in his mind is irrelevant. There are indeed other factors though. Case in point, Nick Wey, whose results haven’t been what he would like but he is incredibly personable and has a strong following. He understands this and uses it to raise his value. If Nick went on results alone, I can guarantee his support from his core sponsors would be much less. Most riders neglect this side of the equation to their own detriment. With the advent of social media, riders are more accessible than ever. With riders being more accessible, it stands to reason that the products they are paid to endorse are also more visible than ever before. The riders that can utilize this powerful tool efficiently can directly raise their value to a prospective company. Nick Wey has a great personality, and following, which has helped him secure sponsors. As a sponsor, we want visibility, professional representation and a rider that promotes our image in the best possible manner. It’s all in the hopes that folks like you will go out and want to purchase our product. When it comes down to the core of the matter, companies are ONLY spending money in hopes that it drives up sales and gives them a return on that dollar spent. I think this fact is lost on many riders. Companies aren’t spending money just because they feel indebted to support riders. They are spending money to make money! It’s simple economics. Marketing riders that customers identify with and want to emulate is what we are looking for. As for how the negotiations go, that can vary greatly. With riders that have been with a company before, it can be very easy. The company has an idea of what they would like to commit and the rider has an idea of what has been agreed on previously. There is usually a bit of back and forth but it’s typically handled quickly and without fuss. The interesting deals are when multiple companies are very motivated to hire a rider. While this doesn’t happen frequently, it certainly does happen. 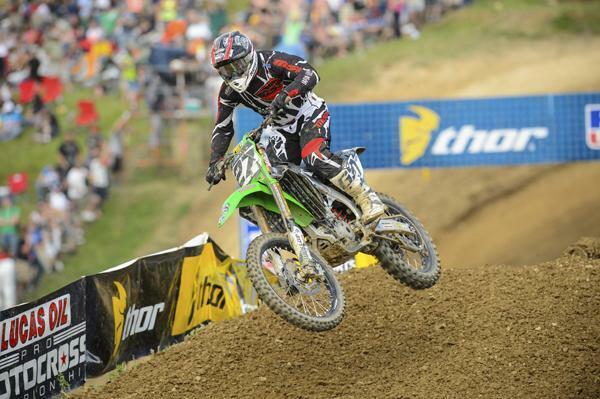 The fight for Eli Tomac comes to mind, specifically. None of the companies in the running had any idea if they would end up with Tomac. There were test sessions with all of them, bonus clause discussions and salary wars. It was truly a free for all between numerous teams. The reasons are easy. He is fast, first and foremost, and now a national champion. His name instantly draws familiarity from his father’s mountain biking world championships. He is well spoken and has the crystal clean image that corporations are looking to associate with. All of these things lead to one thing: sales. Sponsors will line up to attach their name to a kid like this. He appeals to customers ranging from the edgy teenager that is awestruck at his skills to the Vet rider that appreciates his father’s accomplishments and likes his attitude and professionalism. He has what companies are looking for and that’s why the teams were lined up around the block. The other side of this coin is the “generation x” market. Names that come to mind for this are Jeremy “Twitch” Stenberg, Josh Hansen, and Brian Deegan, just to name a few. They often are associated with edgier companies that are appealing to that same demographic. The energy drink, skateboard variety of companies see huge value in marketing these riders and associate their core customer with this same image. While some companies may frown on this style, it is actually very appealing to others. Sales are driven by a variety of influences and factors and applying one blanket method is short sighted at best. Being able to fluidly market products across all vectors of the spectrum is the goal, but that’s not always easy. Marketing an image that is too clean cut can be viewed as selling out. But on the other end, marketing too far out on a limb can turn off the family oriented customer. Heading down either direction can be a slippery slope but if done well, can really make a difference. 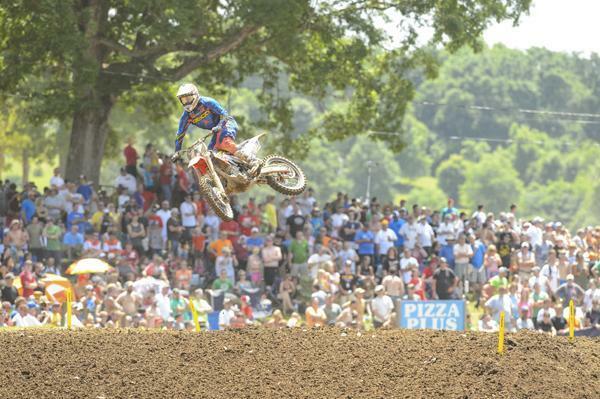 GEICO Honda won the bidding war for Eli Tomac. This is not rocket science, but many riders don’t see it that way. They want to do things their way. Being freshly on both sides of the fence, my advice to riders is to look very closely at what will attract companies to retain your services. What attributes can you exude that will entice fans to want to support the companies that support you? Companies want to market riders but they want to market riders that fit the mold of their plan. The days of massive budgets and free flowing sponsorship are gone for now. Sponsorship is truly a two way street and the riders who grasp that and utilize it will reap the benefits. I can verify that many riders don’t look at it closely enough, and really trying to understand the ebb and flow of marketing can add significantly to a rider’s value. I would highly suggest it, as there is nothing to lose and everything to gain. Knowledge is power in this case.